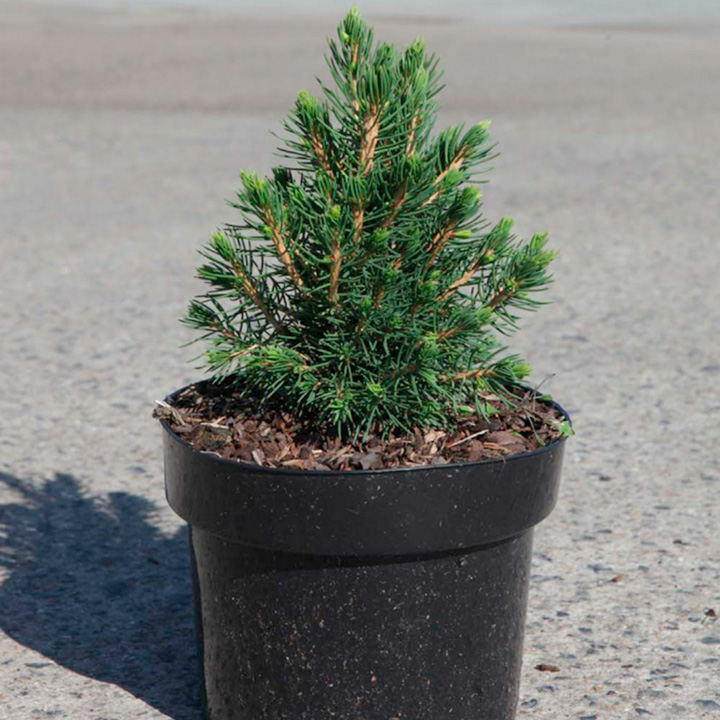 A very compact dwarf form of conifer where the needles are densely packed and bright green in colour. A great choice for that smaller area or in a more specialised location such as a rock garden. Height 90-100cm. Supplied in a 3-5 litre pot. A very compact dwarf form of conifer where the needles are densely packed and bright green in colour. A great choice for that smaller area or in a more specialised location such as a rock garden. Height 90-100cm. Supplied in a 2 litre pot or 3-5 litre pot.